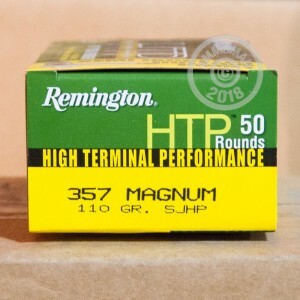 This economical self-defense ammunition from Remington's HTP series can also double as a range load! 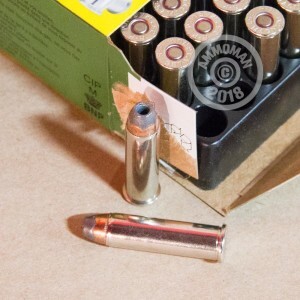 Packaged in convenient 50 round boxes, these .357 Magnum cartridges fire a light 110 grain semi-jacketed hollow point bullet at 1,295 feet per second. 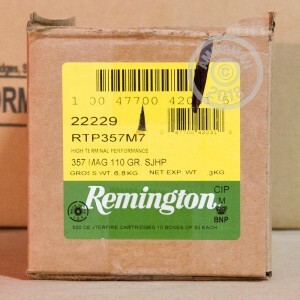 Remington HTP ammo is manufactured in Lonoke, Arkansas using non-corrosive Boxer primers and brass cases. AmmoMan.com has all the ammo you can buy and then some. Place an order for $99 or more and get FREE shipping from our warehouse to your doorstep!